Yes indeed Hofmeister is back! Helles lager is slow-brewed colder and longer than most other beers today. Hofmeister is brewed in Bavaria Germany using natural mineral water. Hofmeister is made according to the 1516 Reinheitsgebot German Beer Purity Law, which states that only three ingredients can be used to make beer. And while using so few ingredients doesn’t make things easy, it does result in an incredible lager. This light golden coloured lager is easy to drink, nice and refreshing and when poured into a glass it has a nice frothy head. Yep we love it, especially Paul (the husband) as used to drink Hofmeister years ago so he's certainly glad to see it back! Currently, you can buy Hofmeister over at Amazon or via their Shopify page. Please drink responsibly. For more info pop over to the Hofmeister website. Hofmeister are giving away a case of this lovely beer. *Please note by entering the giveaway you are confirming you are over 18 years of age. Please also read the terms and conditions before entering. This giveaway is open to all readers over 18, who live in the UK mainland only. The winner will be chosen via Rafflecopter (which uses random.org) and announced on this page. 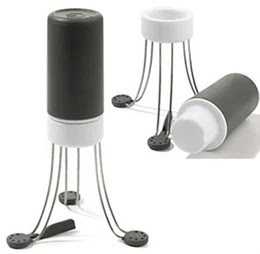 The winner will be contacted by e-mail, if they do not respond within 2 days another winner may be chosen. 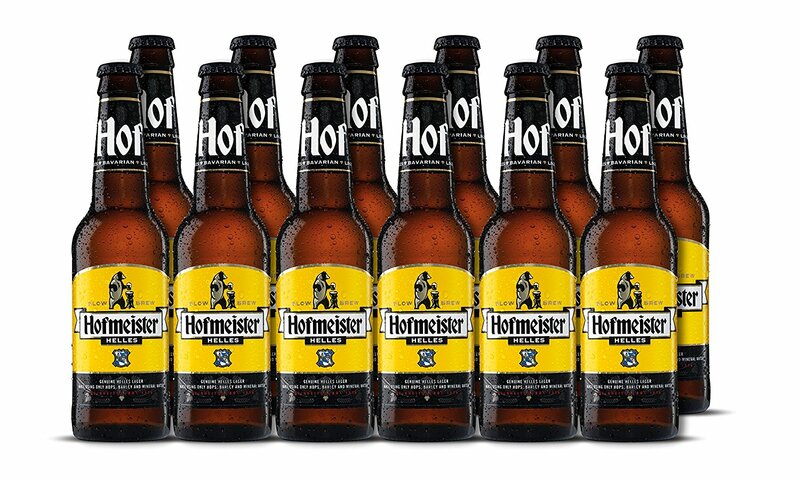 There is one prize of a case of 12 bottles of Hofmeister supplied by Hofmeister who will send directly to the winner. I am running this competition in good faith on behalf of Hofmeister. Their decision is final and no correspondence will be entered into. They reserve the right to substitute the prize for one of a similar type / value if the prize above is not available. Instructions form part of the terms and conditions. Entries using any software or automated process to make bulk entries will be disqualified. The organiser reserves the right to alter the closing date of the giveaway, either closing early or extending without notice. Changes to the closing date if they occur will be shown on this page via the Rafflecopter widget. Where prizes are to be provided by a third party A Glug of Oil will have no responsibility for the acts or defaults of any other persons. Follow the instructions in the form above. If you already like/follow please comment in the Rafflecopter widget and let me know to get your entries. 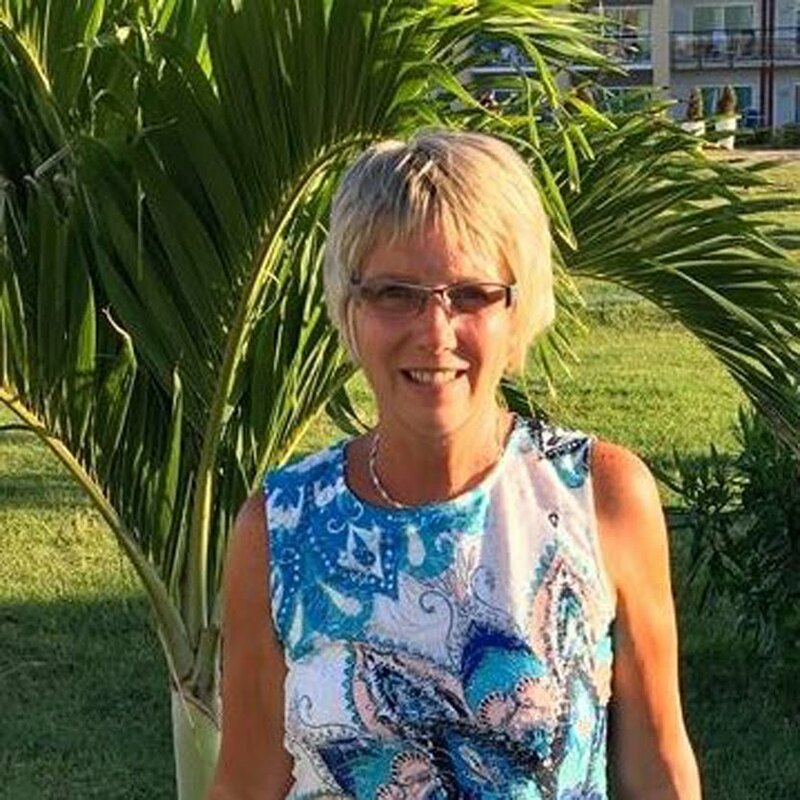 Unfollowing A Glug of Oil on Twitter then following again will result in that entry being void and inappropriate comments will be deleted and entry/entries to the competition removed as will anyone that says they have left a blog post comment but really hasn't! Disclosure: I was sent some beer to try. All thoughts and opinions are my own. I was not required to write anything positive. The exciting thing for me is that they are still using the slogan "Follow the bear" which I have fond memories of from years ago. The three ingredients are pure mineral water from an underground lake beneath the Ebersberg Forest, locally grown barley and hops from the award-winning Hallertau region. It's slow-brewed in Germany and crafted according to the 1516 Reinheitsgebot Beer Purity Law! Made in the heart of Bavaria using natural mineral water and locally grown barley and hops, our new Hofmeister Helles Lager is slow-brewed colder and longer than most other beers today. Uses the slogan "follow the bear" ! Grrr! Hofmeister is made according to the 1516 Reinheitsgebot German Beer Purity Law, which states that only three ingredients can be used to make beer! Ooo Hofmeister sounds lovely it says on the website it is Made in Bavaria using natural mineral water and locally grown barley and hops which sounds utterly delicious! It's made using natural mineral water! Hofmeister is made according to the 1516 Reinheitsgebot German Beer Purity Law, which states that only three ingredients can be used to make beer. It's made in the heart of Bavaria. It's slow-brewed in Germany according to the 1516 Reinheitsgebot Beer Purity Law. 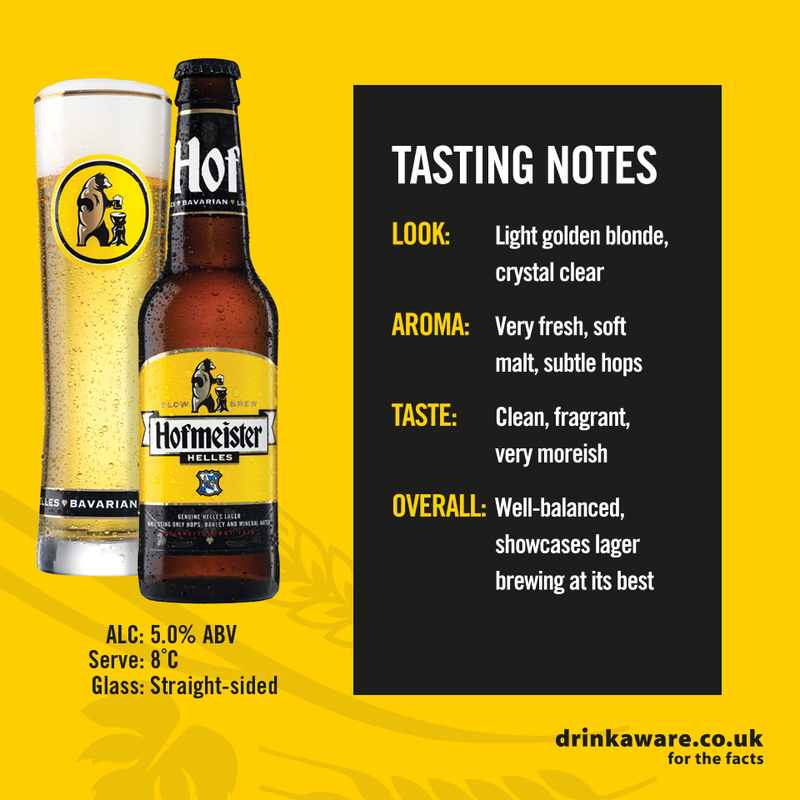 Hofmeister is slow-brewed in Germany and crafted according to the 1516 Reinheitsgebot Beer Purity Law - sounds wonderful! It only uses 3 ingredients. It was the cheapest lager in the pub when I was a lad, but not the worst by a mile. It has been slow brewed in Germany and crafted according to the 1516 Reinheitsgebot Beer Purity Law. Slow-brewed in Germany, looks tasty! Hofmeister is made in Bavaria! Would love to taste it! Hofmeister Helles Lager is slow-brewed colder and longer than most other beers today. They only use 3 ingredients!!! It's brewed in Bavaria, near Munich. It has 3 perfect ingredients! Pure mineral water from an underground lake beneath the Ebersberg Forest, locally grown barley malted in our own malthouse, and hops from the award-winning Hallertau region. It is made with hops from the award winning Hallertau region! The slogan is "follow the bear"
It's Made in Bavaria using natural mineral water and locally grown barley and hops. Hofmeister is brewed in Bavaria Germany using natural mineral water. Hofmeister is slow-brewed in Germany and crafted according to the 1516 Reinheitsgebot Beer Purity Law! It is made according to the 1516 Reinheitsgebot German Beer Purity Law. crafted according to the 1516 Reinheitsgebot Beer Purity Law! It is made in Bavaria under 1516 Reinheitsgebot Beer Puritz Law. Its made in the heart of Bavaria using natural mineral water and locally grown barley and hops. Made in the heart of Bavaria using natural mineral water and locally grown barley and hops, is slow-brewed colder and longer than most other beers today. The tagline is Follow The Beer! It has only 3 ingredients! It uses the slogan, "follow the bear" ! Hofmeister lager is slow-brewed in Germany and crafted according to the 1516 Reinheitsgebot Beer Purity Law. We knew Christmas was coming as a case of this would be ready in the shed for my Dad! Fond memories indeed! Glad to see it is on its way back! It is made in Bavaria! its made from three ingredients... Pure mineral water from an underground lake beneath the Ebersberg Forest, locally grown barley malted in our own malthouse, and hops from the award-winning Hallertau region.